Operating in the Lake District for the last 10 years Lakeside Travel Services provide chauffeur driven modern and classic wedding cars as well as luxury group transport for your guests. Let us get everyone to the church on time. Established since 1985 we offer a wide range of wedding cars including classic cars, prestigious saloons and stretch limousines. 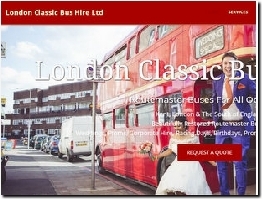 We have a fleet of 3 Beautifully Restored Routemaster Wedding Buses for hire. We can provide a range of services all suited to your personal needs. For all of your wedding-day transportation needs, GOGO Charters has you covered. VW Splitscreen Campervan & Karmann Beetle Convertible Hire for your North East Wedding We also supply unique VW Wedding Favour Boxes! 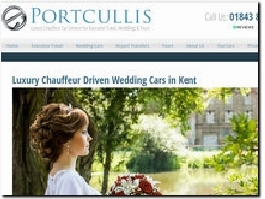 Wonderful 1933 Singer car believed to be the only one left and a 1935 Ford Model Y.
Portcullis Executive Travel Wedding Car Hire will ensure your wedding is a very special occasion. 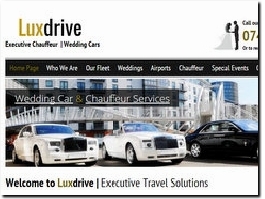 We have immaculate modern wedding cars to chauffeur for any luxurious wedding in Kent and London. Small family run business based in the heart of Cheshire offering various styles of cars for weddings and special occasions. 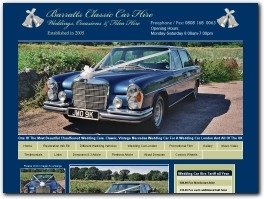 Vintage style Beauford cars, Rolls Royce, Baby Bentley, Mercedes saloons & limousines and Stretched Limos. 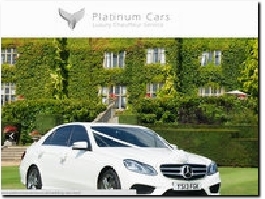 We provide cars to hire for weddings that are driven by professional chauffeurs who are smartly uniformed and polite. 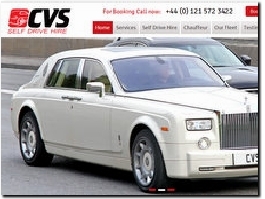 Our vehicles include Rolls Royce Phantoms & Bentleyes - the most luxurious vehicles in the world. We specialise in Luxury Wedding Cars.With our extensive fleet of luxury chauffeur driven Mercedes Benz Wedding cars and our smart chauffeurs you will arrive at your Wedding Venue in style and luxury. Vintage and Classic Wedding Car Hire covering Westminster London, Central London, Romford, Islington, Chigwell and areas inside the M25 close to East London. We are a friendly independent business offering a professional fully chauffeured classic and contemporary wedding car hire service. Our professional service and knowledge of providing wedding cars in Leeds, West Yorkshire, Harrogate, York, Wakefield, Bradford, Huddersfield, Halifax and Sheffield, ensures you have one less matter to concern yourself with on your special day. 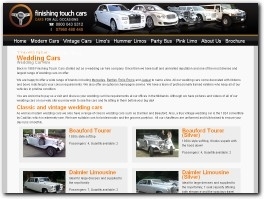 Finishing Touch Cars have been providing a wedding car hire service since 1985. 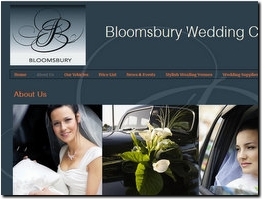 We provide a range of classic and modern wedding cars as well as stretch limousines. All wedding cars come decorated with ribbons and bows. With over 10 years in operation, we provide first class wedding cars for your special day. 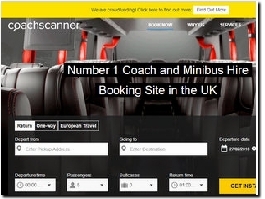 Our range of vehicles range from a 4 seater Mercedes E Class to a 22 seater Mercedes Sprinter Mini Coach. 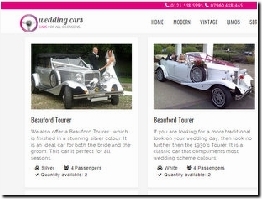 The Wedding Car Hire People offer a local wedding car service. 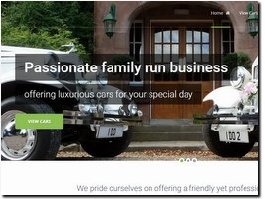 Visit our website to see LIVE availability of our range of Traditional, Modern and Luxury wedding cars. Cute white vintage VW camper van for wedding hire in London, Kent, Essex, Sussex and Surrey. We can customise with ribbons and flower garlands in colours of your choice. 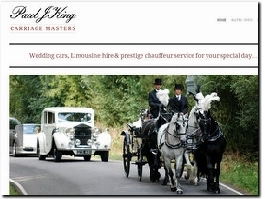 Limos North West are one of the leading limo hire companies in the area. Boasting a range of high quality vehicles, highly trained drives and affordable prices - why look elsewhere. 1988 Rolls Royce Silver Spur in rare pale blue and Jaguar S-type in dark red available for wedding/event hire in Cambridgeshire/Bedfordshire. Full day from only £200! Our 1960 VW Splitscreen, Clyde, is perfect for your wedding transport & party. Clyde can become a karaoke pod or we can pitch our canvas bell tent alongside and give you a modern take on the traditional shisha lounge! Moonstruck VW Wedding Cars are dedicated to providing a high quality experience for our clients with affordable prices. Make your big day even more memorable? 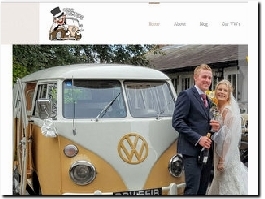 Try a Campervan Wedding, seats up to 5/6 passengers, vintage charm and a real head turner! 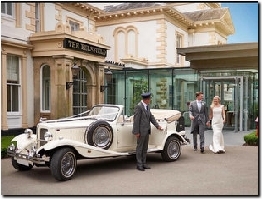 Our 1930's style luxury Beauford car will definitely turn heads as we safely get you to your wedding venue. We pride ourselves in having one of the finest fleets of luxury stretch limousines and prestige cars in the country. 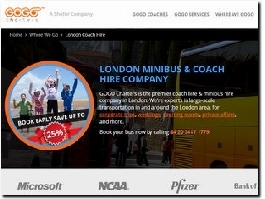 We serve London and surrounding areas in the Home Counties. 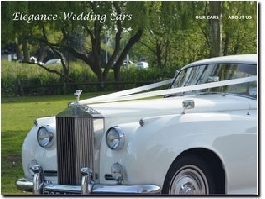 We have Rolls Royce Silver Clouds (1960) and Rolls Royce Corniche Convertible available for wedding hire. We also have a London Black taxi cab with chrome bumpers.